When Xiaomi launched Redmi, the sub-brand was supposed to make only entry-level phones. However, now their appetites have grown, and Redmi now wants to build flagships too. It seems that the company will soon release a Snapdragon 855 powered device – Redmi Pro 2. In the image below you can see a render of what it may look like. The Redmi Pro 2 may have a pop-up front facing camera. Also, due to this placement of the camera, the display is uninterrupted, so there’s no notch of any sort. Moreover, the renders show the phone with a triple camera setup. If this ends up being true, this will be a first such setup for Redmi. 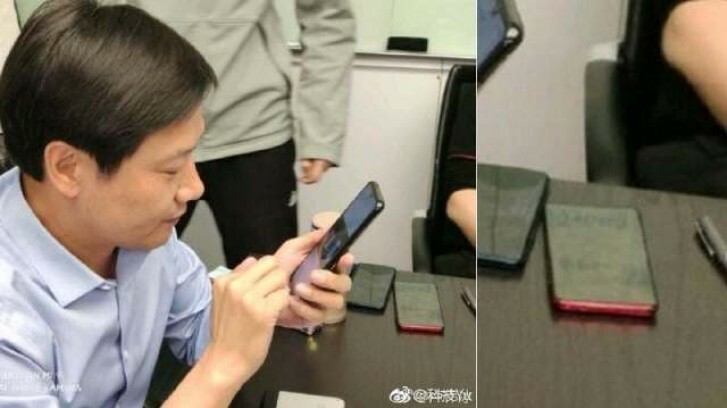 The rendered image also suggests that the phone will be powered by the Snapdragon 855 SoC. This is a clear sign that Redmi has opted for a flagship path. 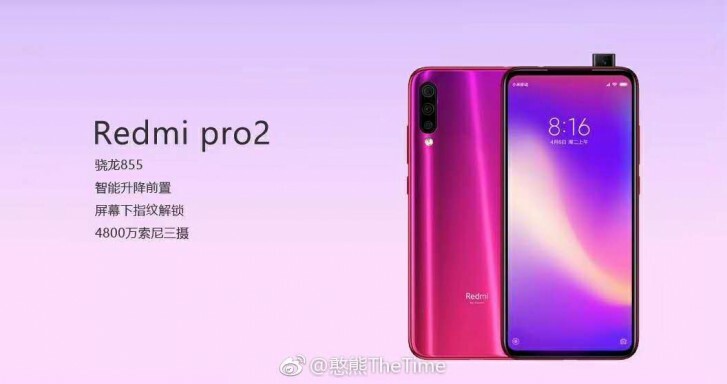 Also, the main shooter might have 48MP resolution, similar to the camera found in the Redmi Note 7. The new phone will also have an in-display fingerprint reader. A phone that matches this description has recently been seen in Lei Jun’s hands, the CEO of Xiaomi. Take a look yourselves.